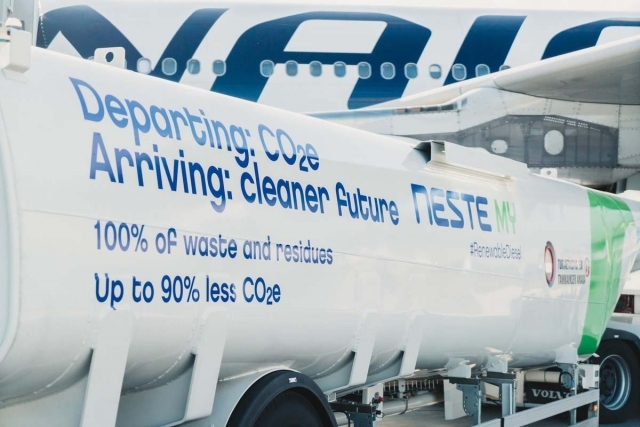 Neste, the world's leading renewable products producer, and Air BP, the international aviation fuel products and services supplier, have entered into an agreement to explore opportunities to increase the supply and availability of sustainable aviation fuel for airline customers. Through this innovative collaboration, Neste's knowledge and manufacturing solutions for producing and blending renewable jet fuel will be brought together with Air BP's customer relationships, expertise in developing efficient and effective supply chains, as well as their certification and product quality assurance capabilities. One goal of the cooperation will be complementary efforts to bring a co-branded sustainable aviation fuel to market at airports across Air BP's global network. Sustainable aviation fuel is made by blending conventional, fossil-based kerosene with renewable hydrocarbons produced from, for example, recycled cooking oil. It is then certified as "Jet-A1" fuel and can be used in aircraft without requiring any technical modifications. Flying on sustainable aviation fuel reduces crude oil consumption and produces lower lifecycle carbon emissions compared to conventional jet fuel. "I am very happy to announce our collaboration with Air BP. Working together, we can find the best ways of developing robust supply chains to ensure that renewable jet fuel is more widely accessible. We expect our collaboration will not only be able to provide a solution to better matching supply to increased demand for renewable jet fuel, but also delivers distinct advantages to airlines by significantly decreasing their environmental footprint," says Kaisa Hietala, Neste's Executive Vice President in Renewable Products business area. Jon Platt, Air BP Chief Executive Officer added: "We are very pleased that through our collaboration with Neste, an industry leader in this space, we will be able to continue to support our customers with their low carbon ambitions. The aviation industry's carbon reduction targets can only be achieved with support from across the entire supply chain and, by bringing our experience and expertise together, we are looking to drive change by promoting and securing the supply of sustainable aviation fuel." The aviation industry has set ambitious targets to mitigate greenhouse gas emissions from air transportation, including carbon-neutral growth from 2020 and beyond, and a 50 percent reduction of net aviation carbon emissions by 2050. Currently, sustainable aviation fuel offers the only viable alternative to fossil liquid fuels for powering commercial aircraft. Collaborations between forward-thinking companies like Neste and Air BP will be needed to enable the aviation industry to continue to connect the world, but do so with reduced greenhouse gas emissions. Both companies have already demonstrated their leadership in this area. Neste's MY Renewable Jet Fuel™ has proven its technical capability in thousands of commercial flights. It can be easily adopted by airlines without the need for additional investments in new jet engines or segregated fuel distribution systems. It is produced from renewable and sustainable raw materials, thus significantly reducing greenhouse gas emissions over the life-cycle. As the aviation division of BP, Air BP is one of the world's leading suppliers of aviation fuel products and services. We have been investing in the aviation industry for over 90 years and currently supply around six and a half billion gallons of aviation fuel a year. We fuel over 6,000 flights a day, at around 900 locations in more than 50 countries - that's more than four every minute. Our customers include commercial airlines, the military, business and private aircraft owners, airports and airfield operators. 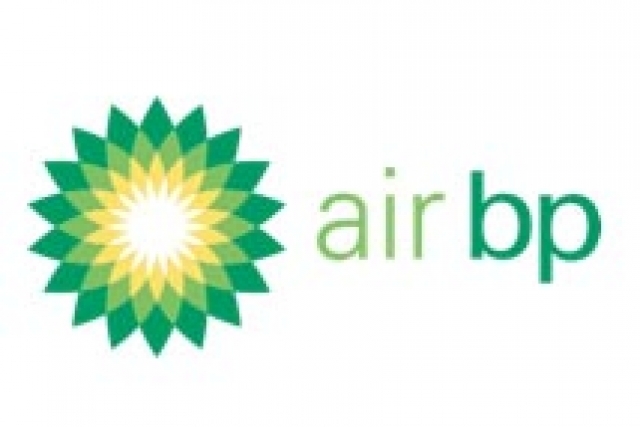 Air BP's services include the design, build and operation of fuelling facilities, technical consultancy and training, supporting customers to meet their lower carbon goals through environmental solutions, the Sterling Card for efficient general aviation refuelling and innovative digital platforms to increase efficiency and reduce risk.